A good place to start is to read customer reviews of local roofing contractors. A couple of good review sites to check include Yelp and Google My Business. Once you find a few roofing contractors with good reviews, you can move on to the next steps. A good business will always be registered with the Better Business Bureau. Check for a high BBB rating and whether or not the company’s been registered with the BBB for a long time. All roofing organizations require that contractors meet strict standards in order for them to retain membership within the organization. If the contractor belongs to one or more roofing association, you can be sure that they’re dedicated to meeting high standards for their work. Roofing contractors should be able to provide you with references. Ask them for 3-5 references and make sure that they check out. Your roofing contractor should always hold general liability insurance. Some states (such as Texas) don’t require roofing contractors to be insured, but a good roofing contractor will make sure to be insured anyway. Roofing technology and best practices are evolving all the time. To make sure that your roof is constructed as well as possible, you need to make sure that your roofing company is always staying up-to-date on the changes within the industry. Another important element of staying up-to-date is making sure that they are code-compliant. Your roofing contractor should review any changes to local city codes and make sure that they are in compliance with these codes. Your roofing contractor should offer warranties on their work. Ask about these warranties ahead of time. You should receive a written copy of your warranty and what it will and will not cover. Your roofing company should go over it with you to make sure that you understand what it entails. Specifications for roofing materials are there for a reason. You should make sure that your roofing contractor plans to follow the manufacturer’s specifications so that your roof does not end up improperly installed. 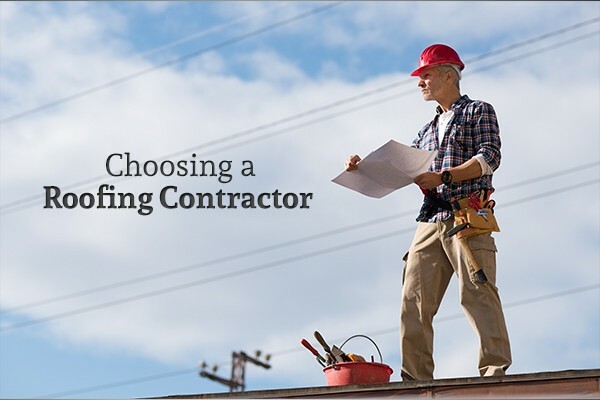 After inspecting your roof, the roofing contractor should provide you with a written estimate. You should always be notified of any changes to the estimate ahead of time – such as if the damage is more extensive than initially thought. If you’re looking for a reputable roofing company to repair, replace, or re-shingle your roof, contact Acme Roof Systems, Inc. They meet every standard for a high-quality roofing contractor, so you can be sure that they will perform work on your roof correctly. Contact them today to ask them about their qualifications and to schedule a roof inspection. What are the Types of Industrial Roofing? "Quality Starts At The Top"